The utility industry is undergoing a comprehensive transformation as it modernizes to a more efficient and smarter grid. An important step in this process is the migration from legacy communications networks to packet technologies for services that control and protect the grid. Utility networks carry a wide variety of mission-critical data from substations, generation facilities, and other locations back to their control centers to ensure reliable energy delivery. What makes utility networks unique is that they are private networks, carry a wide variety of mission-critical data, and cover wide variations in terrain. 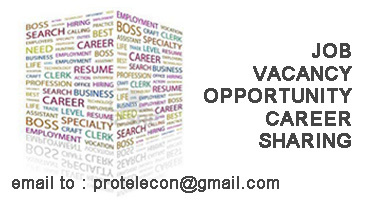 This requires a mix of fiber and microwave transport to reach all their locations economically. Many utilities desire diversity in their transport paths for enhanced reliability – a hybrid of fiber and microwave helps achieve this. Utilities want seamless interoperability and consistent functionality across their network regardless of the transport medium. Requiring fiber and microwave to interoperate in the same Carrier Ethernet protection scheme (G.8032) that is providing low latency deterministic performance for the Utilities WAN. Requiring operational mechanisms such as Y.1731 to work seamlessly across fiber and microwave. Ability to prioritize teleprotection traffic over other traffic to be carried over the WAN should either fiber or microwave paths fail. Need to manage multiple vendors for fiber and microwave under a single dashboard. Move to proactive maintenance from reactively identifying issues from fiber and microwave vendors before outages occur. To address these challenges, Ciena and Aviat Networks are working together to deliver a Unified Fiber-Microwave Transport Solution for Utilities. The Unified Fiber-Microwave Transport Solution consists of Ciena NG-SAOS packet software (delivered on the 3932 and 6500 platforms) and the Aviat Eclipse Microwave Radio Platform that can be deployed in various network topologies offering both fiber and microwave diversity for enhanced reliability. 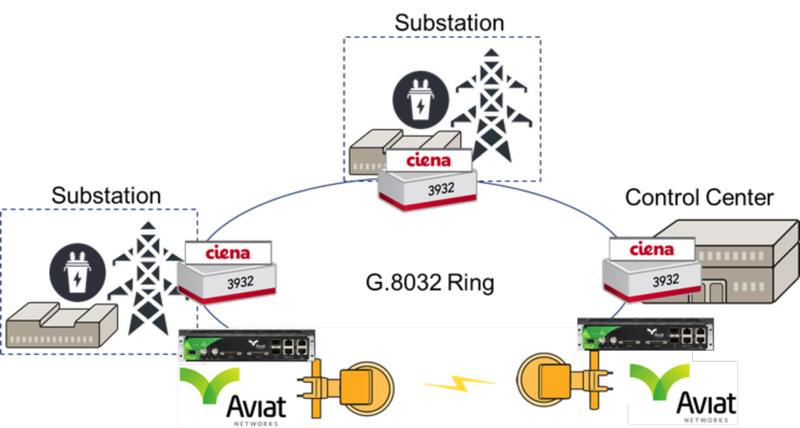 Ciena packet-optical solutions and Aviat Eclipse microwave solutions that can be deployed in the same G.8032 ring, offering both fiber and microwave diversity for enhanced reliability. Teleprotection traffic can be prioritized on either fiber or microwave paths. During interop testing, 300Mbps of a 1Gbps fiber payload was prioritized as teleprotection traffic and was maintained when the Ciena fiber link was failed and traffic was switched to a diverse Aviat microwave link. Protection Switching between fiber and microwave exhibited exceptional performance (14 to 20ms packet loss duration in either direction). OA&M Interop was tested using Y.1731 working across fiber and microwave links, demonstrating that a utility can manage their networks seamlessly across both fiber and microwave transport mediums. Aviat has also joined Ciena’s Blue Orbit ecosystem, allowing Utilities to deploy a multi-vendor SDN ecosystem and have a single dashboard for their solution that delivers analytics applications including Network Health and Topology Discovery. Ciena and Aviat are working together to deliver a unified Fiber-Microwave transport solution, allowing Utilities to deploy both transport mediums as conditions require to meet their needs. Both transport solutions work together to provide enhanced reliability and optimum deployment flexibility. Working under a Blue Planet SDN architecture, both solutions can be managed together for simpler operations and allow Utilities to track their network inventory and move from reactive to proactive maintenance, lowering their OA&M costs.